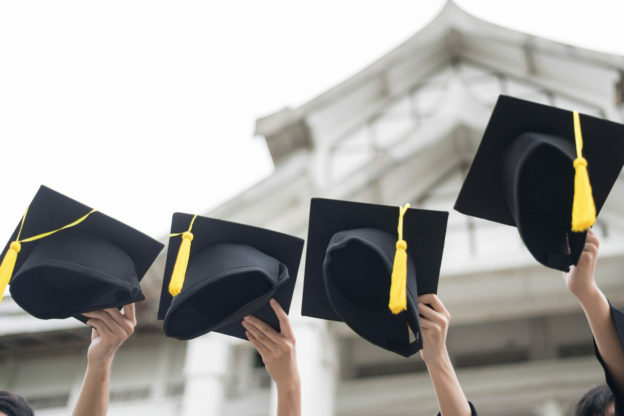 With college and highs school graduations right around the corner, it is time to decide where you and your family will celebrate this big occasion. You may choose to host your own party, create all the decorations, and cook all the food. 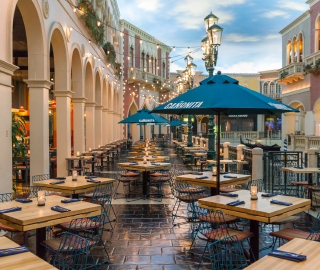 Or, you can simply dine in or carry out at Cañonita, our delicious Mexican Restaurant in the Grand Canal along The Venetian and Palazzo. Everyone loves a good taco, and our Executive Chef Daniel Marquez has created a menu that is as true to his Mexican heritage as it is delicious. Our menu is sure to satisfy both your guests and your graduate! Try classics like our Cañonita Fajitas served with various sautéed peppers, pico de gallo, sour cream, guacamole, and our house made corn or flour tortillas. If you are feeling adventurous try our flavorful Pork a La Michoacana, a roasted tenderloin with manchamantel, cranberry-tomatillo chutney, potatoes gratin, and roasted vegetables. Group dining packages are available for those who have many relatives coming for graduation. Our dining spaces can seat smaller parties of 10 and larger parties up to 400. Ask our group dining coordinator about our customized menus as well. We offer several different options for breakfast, lunch, and dinner. Just choose from a variety of starters, entrees, and desserts to create the perfect menu your graduate will love. If your graduate would rather celebrate at home, Cañonita offers special Box Meals to Go! We don’t want you cooking for large crowds when you could be enjoying time surrounded by loved ones. Choose our breakfast boxes, complete with Breakfast Burritos, Breakfast Pastries, and beverage of choice, for early morning celebrations. For parties hosted later in the day, pick between two of our lunch boxes. Box one contains three different types of tacos, accompanied by chips and salsa, a mini ancho-dark chocolate brownie, and a drink of choice, while box two substitutes the tacos for a tortilla salad. Make a reservation with us this graduation or call ahead to carry out. Cañonita is sure to provide fresh and flavorful food either way. Congratulations to class of 2019, and we hope to celebrate your accomplishments with you this spring. Click here to read more about our group dining options. Easter doesn’t have to just be about baskets full of candy and egg hunts. 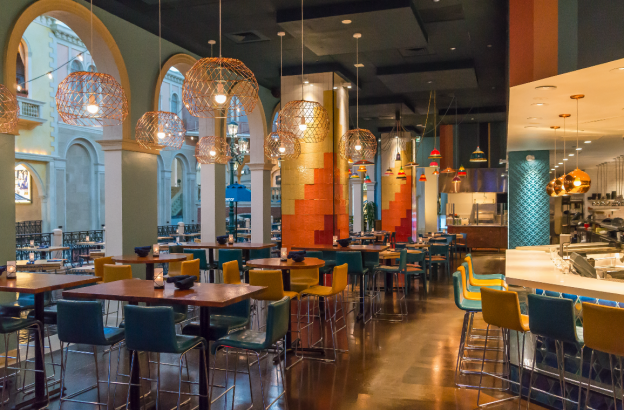 Enjoy a more contemporary Easter week in Las Vegas and dine with us at Cañonita, our vibrant authentic Mexican restaurant located inside The Venetian and the Palazzo. Traditionally speaking, Easter meals include ham, deviled eggs, several different kinds of salads, and a glass of iced tea or two. Instead of spending a typical weekend at home, come to Cañonita for this spring holiday to enjoy scratch-made Mexican cuisine, refreshing drinks, and a lively atmosphere. Wake up on Easter Sunday to our breakfast on the canal between 8:00 am and 11:30 pm. Our breakfast burrito stuffed with house made chorizo, scrambled eggs, Monterey Jack cheese, and pico de gallo is the perfect way to start off your morning. Relax in the cool morning air, take in the scenery by the canal, and make lasting memories with your family. Cañonita is also open for lunch and dinner every day, serving innovative and soulful Mexican dishes. Our Executive Chef Daniel Marquez is a master at his craft, and our menu truly reflects his skills. 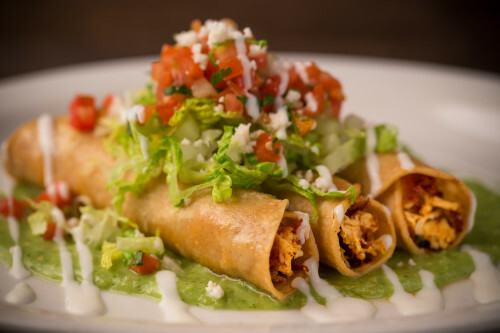 For a tasty Easter lunch order classic dishes like the Mexico City Enchiladas served with cilantro rice and black beans, Cañonita Fajitas served with our house made corn or flour tortillas. 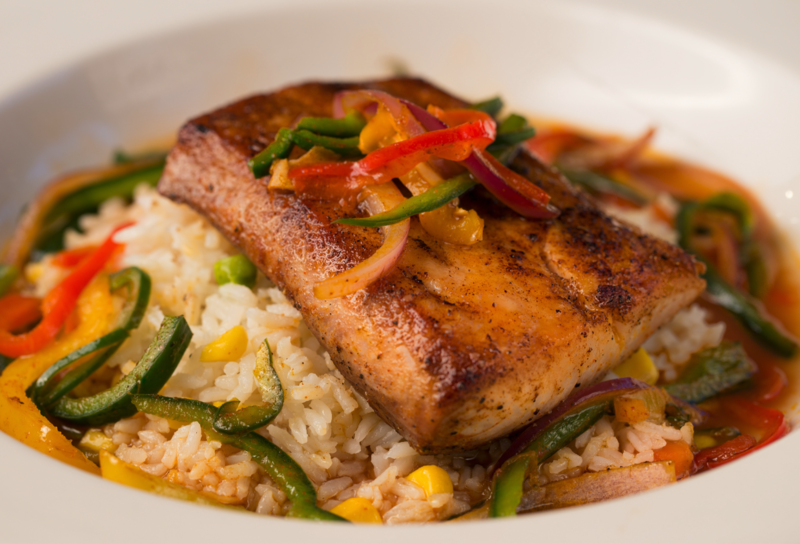 At dinner, enjoy one of our Platos Fuertes, entrees influenced by Chef Marquez’s travels through Mexico. His take on Pollo Mole Poblano, an oven roasted chicken breast dish, will have you coming back to Cañonita for every Easter! It also wouldn’t be Easter without a rich dessert at the table. The Peach Buñuelo is both a taste of spring and Mexican flavors, blending the fresh taste of peaches with crispy sugar fritters. In a Hurry? Stop by the Taco Truck! We know that Easter is a busy time, and friends and family are always a priority. 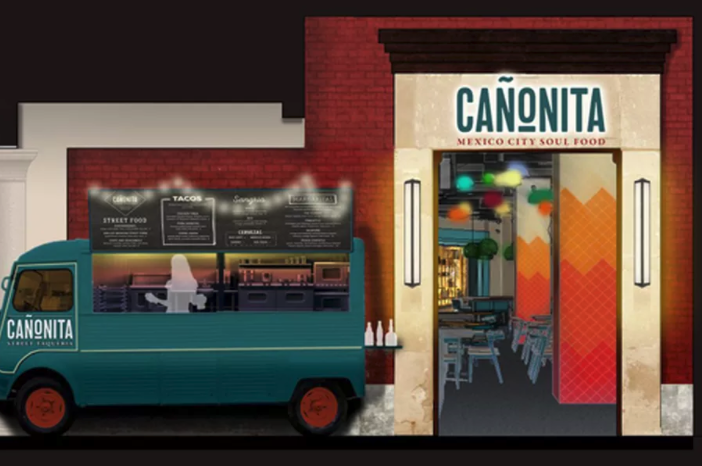 If you don’t have time to fully indulge in a sit-down meal at Cañonita, then make a quick stop by our Street Taqueria truck. We have recreated the feel of Mexico City’s culture and cuisine right here in Las Vegas! 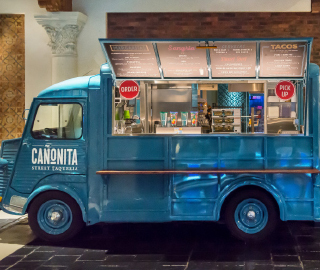 The unique grab-and-go truck is located within the Grand Canal Shoppes and serves a variety of street food, tacos, and margaritas. While Cañonita might not be the typical way to celebrate the holiday with family and friends, our food, service, and atmosphere is sure to provide the same feeling of a comfortable weekend at home. Whether you are getting a quick snack at our taco truck or having a full sit-down dinner, Cañonita is a great destination for Easter. Click here to make your Easter reservation. Grab a Bite To-Go at Our Street Taco Truck! While visiting Las Vegas you must stop by Cañonita, an authentic Mexican restaurant located along the Grand Canal in The Venetian and The Palazzo hotels. 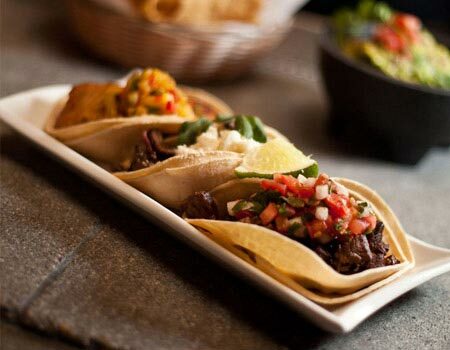 Combining traditional flavors with creative twists, our scratch-made Mexican food is served from breakfast to dinner. Being located along the canal provides our guest with a beautiful environment and unique experience. Eat fabulous enchiladas, tacos, salsas, and more while you enjoy the sights and sounds of the Grand Canal’s waterfront view and singing gondoliers. If you are just looking for a quick bite or drink on your tour of the city, stop by our Street Taqueria, a small taco truck stand in the Grand Canal Shoppes! Get a true taste of Mexico as you experience it on the streets. Walk up to our truck window and order some chips and guacamole with either our Pork Carnitas, Chicken Tinga, or Carne Asada tacos. 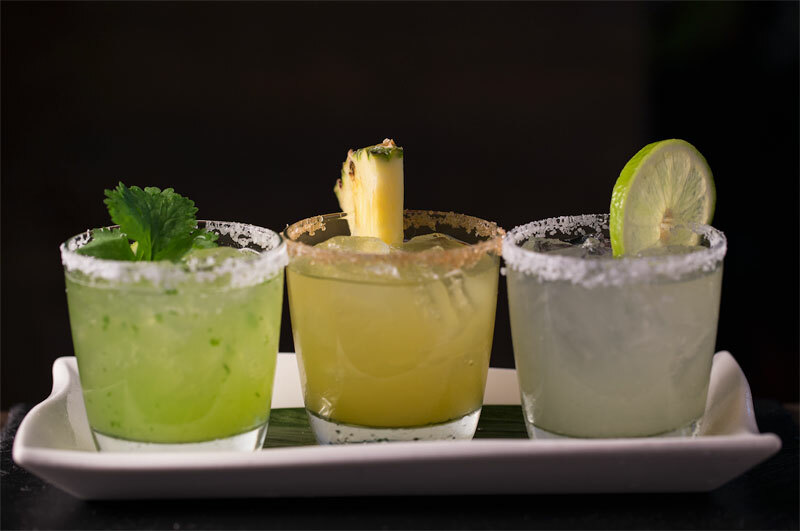 Then, wash it down with one of our refreshing and handcrafted margaritas, including flavors like pineapple, jalapeno, and desert lotus. Maybe you need to cater a work event or a large party. Our taco truck is equipped to help you! We will cater anywhere from 10 to 1,000 guests by providing specialty group box meals. Our breakfast box menu includes chorizo and scrambled egg breakfast burritos, a seasonal pastry item, and a beverage. Our lunch menu has two options available. The first includes three of our famous street tacos, chips and salsa, an ancho-dark chocolate brownie, and a beverage, while the second substitutes the tacos for a tortilla chicken salad. We hope you visit us during our Las Vegas journeys to try some of the tastiest Mexican food in town! If you are in need of catering or group dining, take a look at our website for all of the different rooms and patios you can choose from and contact our sales team to find out how you can customize your experience at Cañonita. Click here to read more about our taco truck! Sign up to join Cañonita's online community and receive special offers and invitations to exclusive events.